Pregnancy tests determine the amount of human chorionic gonadotropin, or hCG, circulating throughout a woman's body. A quantitative blood test is the most accurate pregnancy test, as the specific amount of beta hCG is determined. This level can be observed over time to determine if a pregnancy is healthy, or if a miscarriage is likely to occur. Qualitative blood tests and urine tests simply detect whether hCG is present or not, according to the test's cut-off value for sensitivity. Some tests are incredibly sensitive, and may detect hCG levels as low as 5 mIU/ml. Others are less sensitive and will not detect a pregnancy until levels reach 25 mIU/ml or greater. Home pregnancy tests work by binding the hCG in a woman's urine to an antibody. The antibody is anti-hCG and will bind to hormone: this antibody is coupled with a pink or blue dye indicator. As the urine moves up the membrane, it crosses two "lines" - one is the "test" line, which has an antibody anchored to the test membrane. 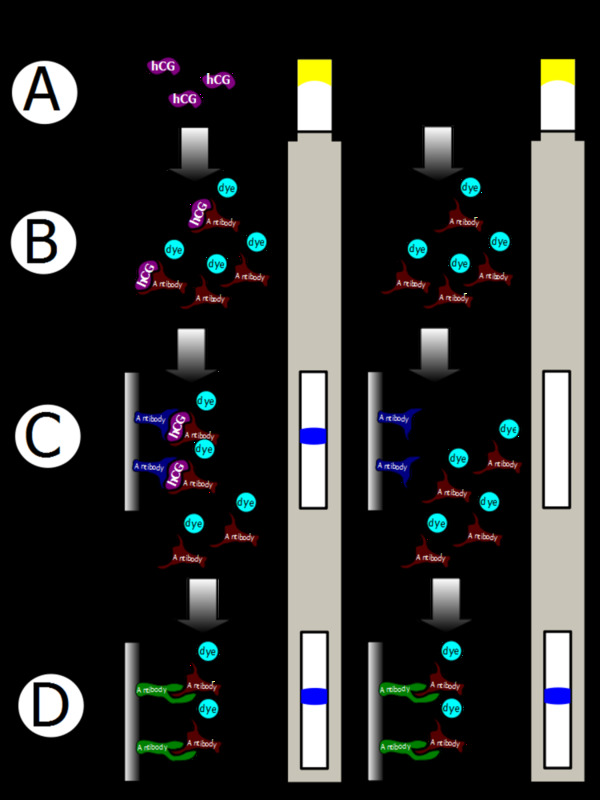 The second is a control line, contains an antibody to the dye (this is an indicator the test has functioned properly - if no control line appears, the test is invalid). If a woman has hCG bound to the antibody, it will bind to the antibody on the test line and the color will begin to develop. If there is no hCG (or insufficient hCG) in the urine, the antibody will "wash over" the test line and the dye will adhere to the control line. No color will develop on the test line in this second scenario. A quantitative test determines the actual amount of beta hCG in a pregnant woman's bloodstream. Beta hCG is a sub-unit of the human chorionic gonadotropin hormone. Very small amounts of hCG may be detected with this blood test, and the results can be monitored over time to determine if the quantity of hCG is increasing with time. In healthy pregnancies, the level of hCG should double every 48-72 hours. hCG levels that decline generally indicate an imminent miscarriage. 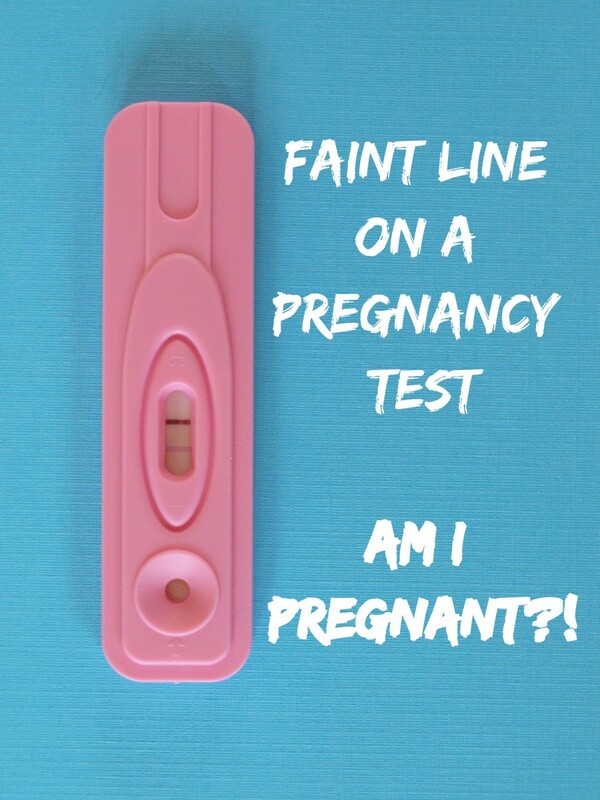 A qualitative blood pregnancy test is similar to a urine test: this test simply determines if hCG is present or not. The sensitivity varies, but many qualitative blood pregnancy tests only detect 25 mIU/ml of hCG, which is less sensitive than many early detection urine-based pregnancy tests. Women who are worried about levels of hCG should have a quantitative test performed, not a qualitative test. There are three main types of home pregnancy tests: pink dye tests, blue dye tests,and digital result tests. All forms offer "early result" testing, though a pink dye test (First Response Early Response) offers the most sensitivity. This test claims that hCG levels as low as 5 mIU/ml may be detected in urine. This test may detect a pregnancy as early as 6 days before an expected menstrual cycle, though many women will not obtain a positive until after that point in time, as the embryo does not generate detectable amounts of hCG until it has implanted into the uterine wall. hCG appears in urine after it is detectable in blood, and may remain in the urine after hCG has disappeared from the bloodstream when a miscarriage happens. A quantitative blood test is the most accurate pregnancy test, as it detects very low levels of hCG and can demonstrate the change in levels over time. If an early detection pregnancy test continues to show very faint lines that don't darken, a quantitative blood test may be ordered to determine if hCG levels are rising at a normal rate. 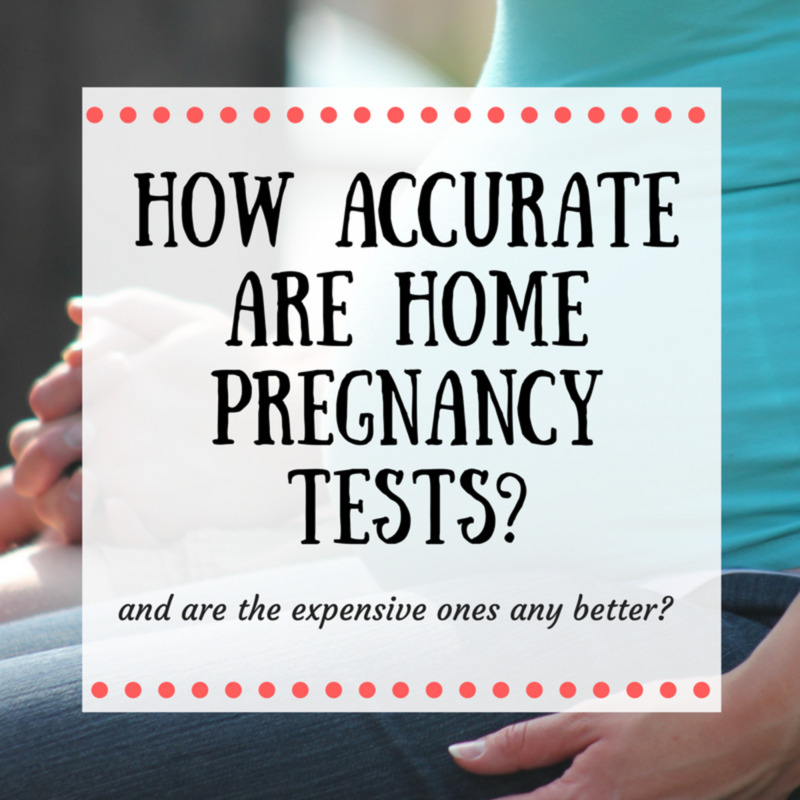 A review of the different types of home pregnancy tests is below. The digital tests have a readout that is unambiguous: the result will either say, "pregnant," or "not pregnant." Some versions may have state, "yes +" or "no -." There are no lines to analyze: other versions of home pregnancy tests may have very faint lines or ambiguous results, and the digital version states the results in a clear manner. Digital tests are expensive, however, and many versions are not quite as sensitive as the pink and blue dye tests available on the market. 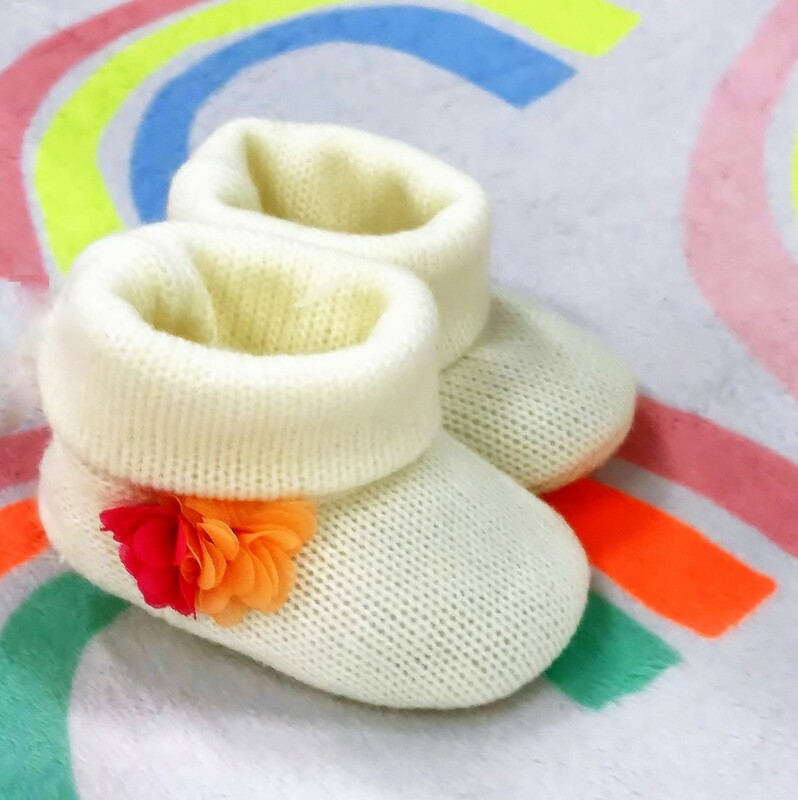 Many expectant mothers will take a cheaper "dye" test first, and if the results are ambiguous, use the digital version as a method of confirmation. First Response and Clearblue both make early detection digital tests: the First Response Gold may detect a pregnancy as early as 5 days before a missed menstrual cycle. Like all "early result" tests, a negative may be obtained until after a period is missed: the embryo has to implant and start producing the hCG hormone before a positive result can be obtained. The Clearblue company offers a test that includes a conception indicator. This test not only will identify a pregnancy, but will also estimate the approximate gestational age of the baby. 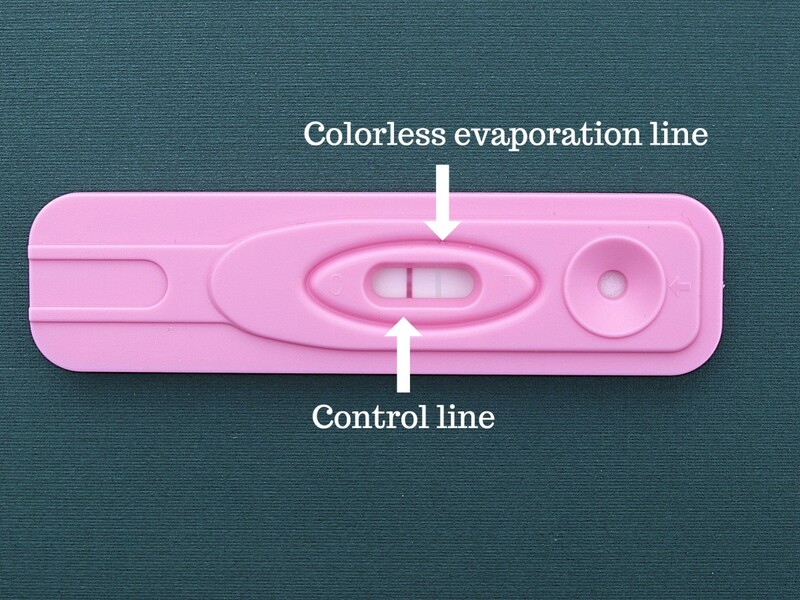 This test is best used after the day of a missed period - though the test claims it is able to detect a pregnancy up to four days before a missed cycle. In addition to the positive result, the Clearblue test will state "1-2 weeks," "2-3 weeks," or "3+ weeks" for the gestational age. This calculation is based on the amount of hCG in the mother's urine. Many home pregnancy tests use a pink dye to indicate results. First Response is a pink dye test. Faint lines generated by a pink dye test may be more difficult to detect than with a blue dye test, though these tests are less likely to produce an evaporation line that results in a false positive. The packaging of the test will reveal which type of dye is used: if the picture on the package shows results with pink lines, then it is a pink dye test. Blue result lines indicate a blue dye test. 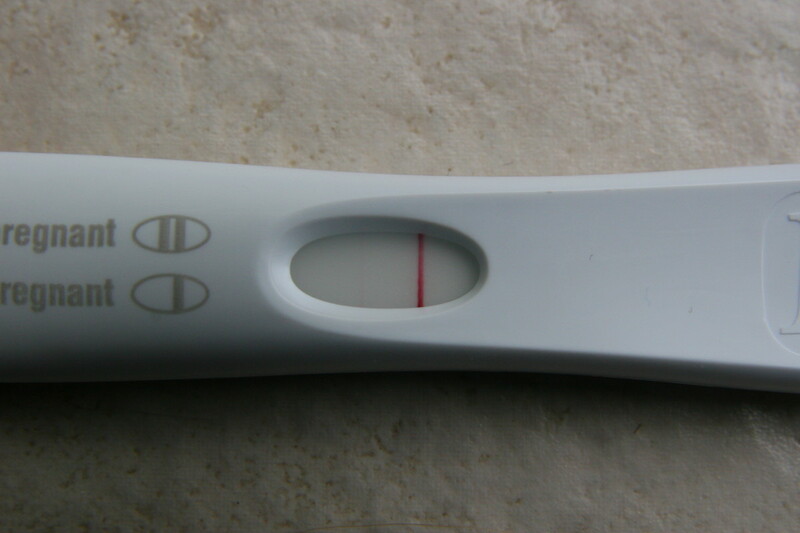 Pregnancy tests that use blue dye are easily visible, removing some of the ambiguity that a faint pink line may generate. Blue dye tests are known to generate false positives, however, because an evaporation line (or "dotted line") may appear on the test. This is more common in blue dye tests that use a vertical line to create a + sign. If a very thin, dotted line appears on a blue dye test and the results are in question, confirm the results with a digital test or a pink dye test. Early detection home pregnancy tests will identify very low levels of hCG in the mother's urine. This allows a woman to test for pregnancy up to six days before her expected menstrual cycle. Unfortunately, some women will then have their period on time - or a few days late. This occurs when the embryo doesn't completely implant, or is miscarried at a very early stage. This is known as a "chemical pregnancy," as the early result urine test will show a positive, but the mother has a normal menstrual cycle. The best way to avoid detecting a "chemical pregnancy" is to wait until the first day of a missed menstrual cycle, as the hCG levels should be high enough to indicate full implantation of the embryo by that time. Some women will test with an early detection test and receive a negative result, only to find they are actually pregnant. The embryo will not secrete hCG until it has implanted, so a woman who ovulates late or an embryo that implants late may not generate enough hormone until the woman has missed her period. Interpret early detection pregnancy results with caution, especially if the test line is very faint. A pregnancy can be verified and monitored by obtaining a quantitative blood test, which will monitor beta hCG levels over time. Increasing hCG levels (doubling every 48-72 hours) is a good sign, and decreasing hCG levels generally indicate an impending miscarriage. The cheapest pregnancy tests may be purchased online. These tests arrive as indicator strips, without a plastic cartridge to contain the strip. For prospective mommies who are testing frequently, these tests are the best way to go. As many as 25-50 testing strips can be purchased for the same price as a single digital pregnancy test! Another option is to visit a local dollar store - the tests sold at these stores are generally not the "early detection" variety, but will detect hCG levels of 25 mIU/ml. Wait until the first day of your missed period to use one of these tests. What type of pregnancy test did you use? I had quantitative (beta hCG) blood tests performed. I used a pink dye urine test. I used a blue dye urine test. I used every pregnancy test the store sold! Why have I had two positive pregnancy tests, but six negative ones? Over the counter urine pregnancy tests are not as accurate as a quantitative blood hCG obtained by your physician. If you are getting inconsistent results, your physician should be consulted to order a quantitative analysis of the pregnancy hormone in your blood to give a precise clinical answer to whether you are pregnant or not. I did a quantitative test 11 days post ovulation, but it was negative. When can I do a home test, as I still have no period 14 days post ovulation? Was your quantitative test a blood hCG evaluation ordered by your physician? You may perform a home urine test at any time, though the results of a blood beta hCG test are more accurate and more sensitive than a urine test performed at home. Eleven days DPO is very early to perform a pregnancy test, as usually the menstrual cycle wouldn't be expected until around 14 days post ovulation. If you are pregnant, you should get a positive on a home (urine) pregnancy test by around 21 DPO. There are also several reasons a period might be late when you are not pregnant. Your physician should be consulted if there are any concerns about a potential pregnancy or irregular cycles. 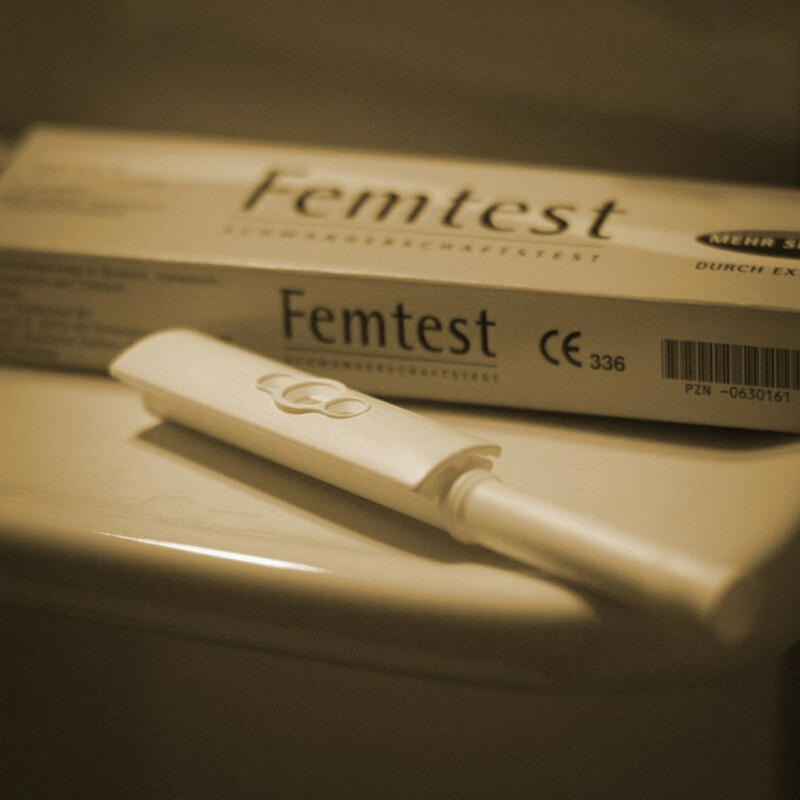 What Causes a False Negative on a Pregnancy Test? How Soon Can a Blood Test Detect Pregnancy? I'm definitely a fan of the beta hCG blood tests - while most women will probably not need them, they have been able to help with the detection of ectopic pregnancy. Fortunately, my ectopics were identified early and my health wasn't compromised! Thanks for the coment, jenp123! Thanks for this hub. It's well researched and written. 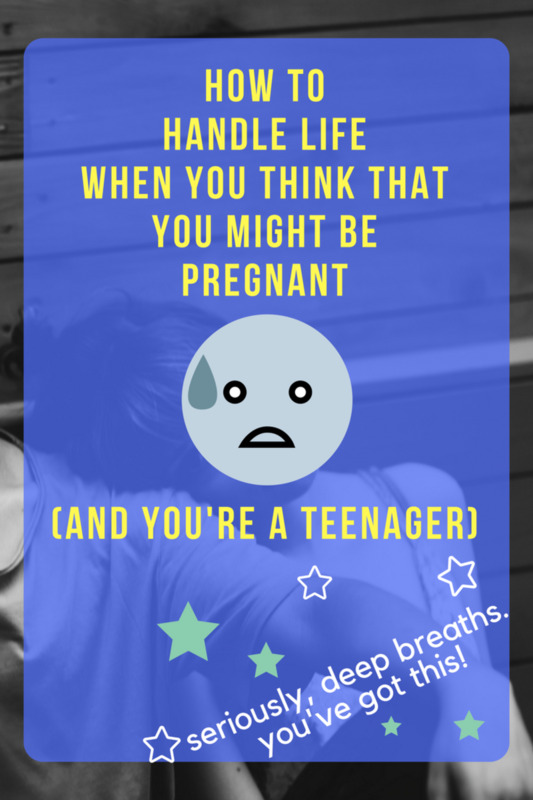 I just recently started writing articles about pregnancy, and yours is a great model! Thanks, Mridul. I am the one who wrote the article, but Riverfish is a great commenter! :) I hope the information was useful. Very useful information, River fish ! A lot of older texts talk about the baby "quickening" and that was the real confirmation that a baby was truly on the way - I can't imagine not really knowing for sure until I was 4-5 months along! Women now know as early as 5-6 days before they have even missed a cycle! Thanks for the comment, hyphenbird. Thanks leahlefler for another great article. Thanks, Riverfish - the digital tests are nice because of the clear read-out, but they are more expensive. The paper strip tests are really inexpensive and can be purchased in bulk by parents who are trying to conceive! Great information and research. Very helpful. Some pregnancy tests are more sensitive than others, Teaches12345, though none of them will detect a pregnancy until the baby has implanted - so even the "early detection" tests will show a negative until this has occurred. I like the digital tests because they remove all traces of doubt! Well done, Leah. I am past this stage but I know this hub will help many out there who need to know how to read them and how to choose the best product for the job. Voted way up!